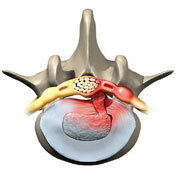 With our services we have excellent success helping spinal bulges. The cornerstone of our clinic is Chiropractic care. Chiropractic is a branch of healing arts based on the understanding that good health depends, in part, upon a normally functioning nervous system – especially the spine and the nerves extending from the spine to all parts of the body. It is a drugless, non-surgical therapy utilizing manipulation of the spine and extremities, as well as massage, physical therapy, nutrition, exercise and wellness counseling to prevent and treat disease. As Chiropractors, we use a number of highly-effective adjusting techniques to help improve spinal biomechanics, reduce nervous system interference, and relieve pain. The approach we use is based on our judgment and years of experience. We modify our techniques to fit people of all ages and walks of life. Active Therapy is an advanced physical therapy and rehabilitation program that incorporates a combination of physiotherapy, deep tissue massage, myofascial release, manipulation, stretching and strengthening exercises, Spinal Decompression Therapy, Graston Technique® and Manipulation Under Anesthesia (MUA) to heal and restore function to injured muscles, tendons, ligaments, fascia and nerves. It is a collaborative approach, employing the skills and intuitive wisdom of both the chiropractor and massage therapist. If you have questions, give us a call at 770.432.1199 or drop us an email on the link below. When the 4th century BC physician Hippocrates wrote, “The physician must be acquainted with many things, and assuredly with rubbing,” he was referring to the healing power of what we now know as Massage Therapy. By itself, the physical, mental and emotional benefits of Massage Therapy reflect are numerous and well documented. When combined with Chiropractic, the results can be life-changing. We offer Massage Therapy in combination with chiropractic care, or in individual 30, 60 or 90 minute sessions. Personal Training is an advanced physical therapy and rehabilitation program that incorporates a combination of physiotherapy, deep tissue massage, myofascial release, manipulation, stretching and strengthening exercises, Spinal Decompression Therapy, Graston Technique® and Manipulation Under Anesthesia (MUA) to heal and restore function to injured muscles, tendons, ligaments, fascia and nerves. It is a collaborative approach, employing the skills and intuitive wisdom of both the chiropractor and massage therapist.